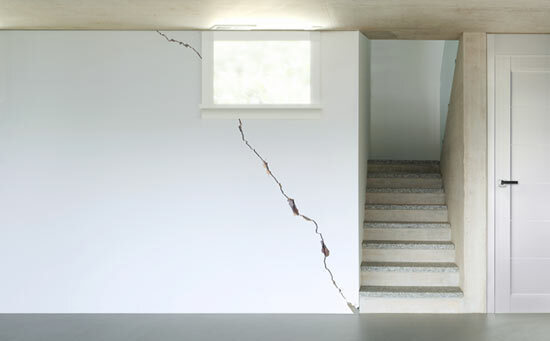 Wal-Tech Drainage has the ability to mend foundational and wall cracks from within your home, to minimize the scope of a necessary repair. We begin by drilling a series of ⅜” holes along the crack line every 6 to 8 inches. The crack is then flushed with water, and installed with packers and zerk couplers. Working from the bottom up, our technicians seal around and in between ports to ensure the resin we inject is pushed to the furthest exterior of the existing crack. Wal-tech Drainage is able to provide interior waterproofing when excavation to waterproof from the exterior of your home is not an option. We work by breaking a trench into the floor and installing weeping tiles and a sump system. 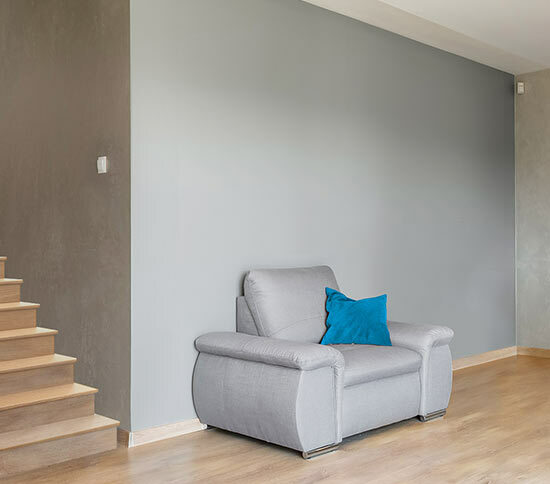 Your walls will be waterproofed as required and our technicians will cover the new tile with stone, and reconcrete the area to finish the job. Once complete, we can go on to complete any necessary restoration of your basement, if requested. 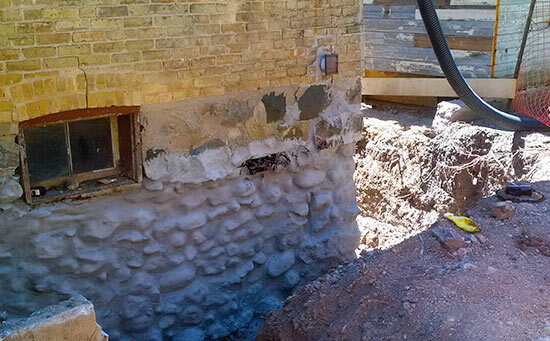 Basement Lowering and underpinning can be a huge undertaking, but will ultimately increase the value of your home, creating extra living space and extending the life of your home. Typically, it is done to utilize space in your basement that can be used for storage or living areas. The process is completed through digging down and shoring up to create extra space, strengthen the structure, and increase the ceiling height in your basement. In this case, Wal-Tech can waterproof your basement from the inside to prevent any water from entering.